If you like the “faded film” look, this latest video tutorial from Mathieu Stern is for you. 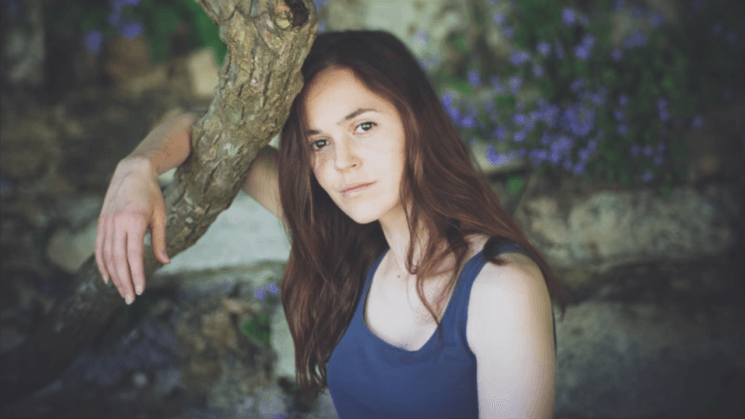 You can create this washed out, dreamy look in a few seconds, you only need a few simple adjustments in Photoshop. I tried it out on some of my images, too. I didn’t really expect to like it, but I was surprised by the result. It kinda grew on me. As a matter of fact, I even made a Lightroom preset. 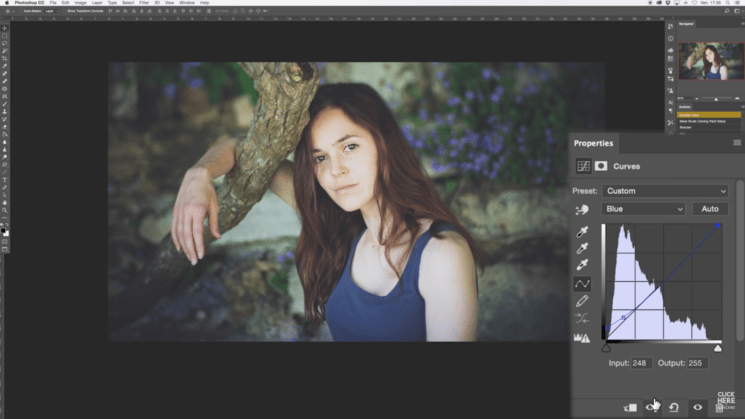 1– Open the image in Photoshop and create a new Adjustment Layer “Curves”. Mathieu copies the layer before it, but I didn’t do it. 2– Adjust the RGB curve as in the image below, which will make the blacks brighter and make the image “washed out” a bit. 3– Move to the “Blue” channel, and adjust it as in the picture. If you like this look, you can also make it a Lightroom preset, so you have it handy when you need it. I use Lightroom way more than Photoshop, and I like to have the presets for my favorite photo looks. 1– Apply the changes to the Curves as you did in Photoshop. 2– Go to Develop > New preset (or Ctrl+Shift+N on Windows/Cmd+Shift+N on Mac). 3– In the dialog box, uncheck all the settings, and then only check “Curve”. Name your preset, choose the folder and click “create”. 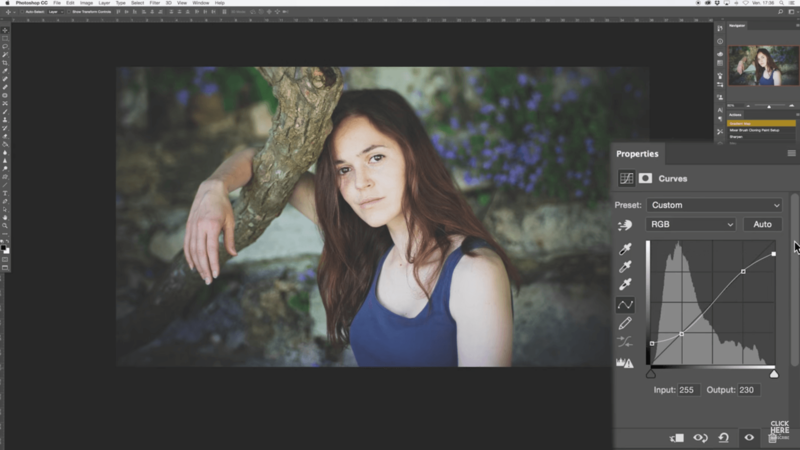 Now you can apply in Lightroom in literally one second. I especially like how this look applies to portraits, but sometimes it can work with other images, too. If you don’t shoot film (yet), but you’re attracted to the mood it creates, you can have some fun with this look and see how it works for you. And since I shared some of my results, I’d love to see yours in the comments below. A Simple And Clever Way To Remove The Bags Under The Eyes With Photoshop The most powerful 10 second toning tip you’ve never heard of! Are you a Photoshop master? Well, these may be 10 features even you don’t know Want better portraits? Rotate your canvas while retouching. This is great for the beginner that’s overwhelmed easy with photoshop who’s looking to get a filmic look. It’s strange that everyone prizes this look or supremely lo-fi film photography. And while I love that look and it serves its purpose in spur of the moment diaristic work, it’s like people forgot film can actually look good! I was recently asked by a client who wanted me to shoot film cause he wanted it grainy and low fi underexposed. But instead I told them I’d rather shoot it the best way and I can and not have it look that way! Funny how it works lately. It’s very much a different aesthetic and I think it might be possible to emulate it to some extent with digital, but I don’t see people seriously tackling this issue. An exception is Steve Yedlin, a cinematographer who has an interesting demo of a profile he created for the Alexa to match 35mm film. (I don’t know if links are allowed here, search online for Steve Yedlin Display Prep Demo). I don’t buy into his argument fully, but he has definitely brought an interesting perspective. Personally, I’ve played around with camera profiles (canon), DNG editors and while I’m able to get a different aesthetic from the basic camera profiles, I’m far from being able to do what he has or to really emulate film. I think I’ll try to shoot some colour checker charts on various 35mm film stocks (Fuji Pro 400, Kodak Ektar & Portra and maybe CineStill) and then see if I can use scans from those to create better profiles. I’m not ready to go through the rabbit hole of using things like DCPTool or studying colour science… easier to just shoot film when I want that look and get it scanned as I’m not a professional, just an enthusiast who can take risks with my images for the most part… also, I don’t have that kind of time to spend behind a computer! It is from Mathieu, I love his work and his channel! especially like the quick tips. This seems a bit easy. Good job. Thanks for sharing such an informative and effective article.I really like your work.Keep continue to writing this type of tutorial.